It’s time to rethink regulatory compliance – and what a bot does. Call us “old school” or “geeks”, but when someone tells us that car factories use a lot of robots to achieve their incredible output and quality standards, we don’t picture row after row of computer interfaces eager to engage in polite conversation. We picture serious pieces of machinery that get things done automatically, quickly and tremendously efficiently instead. That’s exactly how we conceived RegBot. Sure, we could have cobbled together a chatbot so that when asked how clients should be classified under MiFID, it would explain the different classifications to you so you could then do the job – but seriously, on a scale of 1 to 10, how useful would that be? Maybe 3 out of 10? Precisely! Why would you even call that a bot, if it hardly gets anything done at all? So instead we set out to build a serious piece of compliance engineering that not only knows the answers but gets things done automatically, quickly and tremendously efficiently so you don’t have to – and called it RegBot, as that is the kind of thing that a real robot would do, if it were applied to regulatory compliance. Faced with the same scenario as above, RegBot will automatically classify clients, notify them accordingly, explaining their right to change classification and what such a change would entail in terms of client protection, provide them with an interface to change their classification either in general, or in connection with one or more services, products or transactions, notify your firm if clients do change classification, and even provide a pre-assessment for you to validate when a retail client requests to be classified as professional. 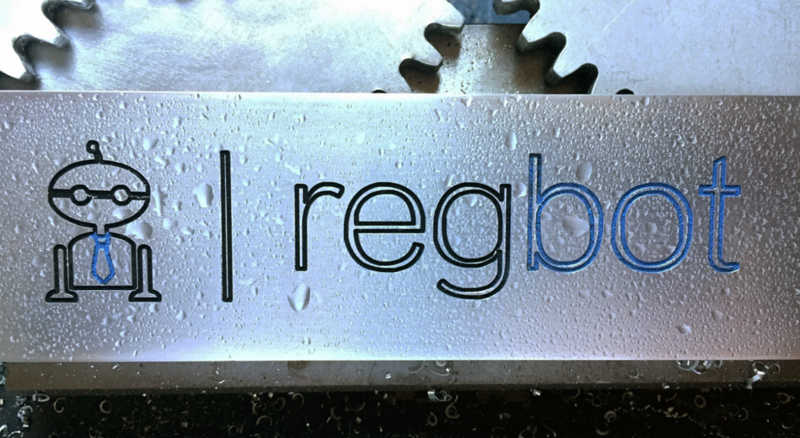 And that is just a very small example of the many tasks that RegBot executes automatically – just as a real bot should. Our MiFID II bot applies the same approach to a host of obligations under MiFID and so does our X Border Client Protection bot for regulatory obligations on a cross border basis. And the Covered Funds bot for the Volcker Rule. Or any custom bot you might need to address your specific requirements. And very importantly: all our bots are fully GDPR compliant.